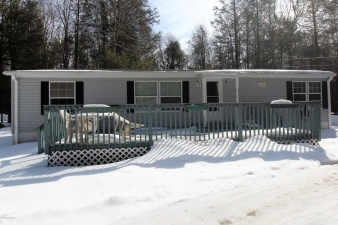 Well maintained 3 bedroom 2 full bath ranch home in a gated lake development with clubhouse just minutes away from the ez pass interchange for convenient access. Home features open floor plan with larger bedrooms, laundry room and master bath with spa tub. Home is situated on a nicely maintained lot with a circular driveway. Home is being sold with the adjacent lot 21a-21-d194. Contact our office for a personalized showing today.